Founder Juliana Lomba brings together the itsy-bitsy Rio bikini of her native Brazil and the laid back island style of her adopted home in Hawaii to create her signature swim and activewear styles. The Makena collection, inspired by nature, big surf and endless summers, features distinctive silhouettes in unique colors and prints designed for renegades and romantics. Intended to be mixed and matched, our collection of swim separates, rash guards and activewear delivers form and function for swimwear that is ready for anything. Whether you’re soaking up the sun, catching big waves or practicing your downward dog. At Makena we believe in slow fashion. We produce exclusive capsule collections thoughtfully designed with our loyal customers in mind. We design for women like ourselves, the free spirits and the wild at heart, with great attention to detail and an appreciation for craft. To compliment our swim styles, the Makena collection has grown to include a line of casual t-shirts and playful accessories for sun chasers everywhere. 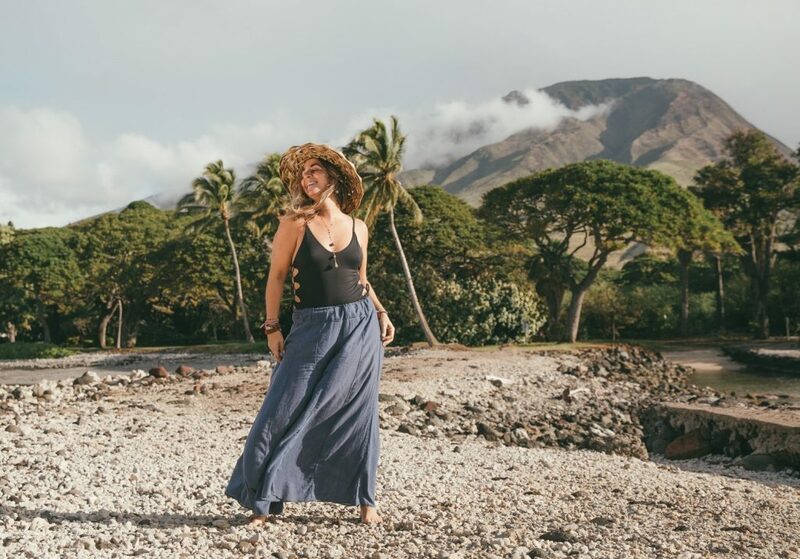 Makena believes in confident authentic style infused with the spirit of aloha.